Alcatel is back to cooking Android phones with a vengeance, and its One Touch Idol X is shaped to be one of the most affordable and well-equipped Full HD 5-inchers, not to mention the dual SIM option it offers. 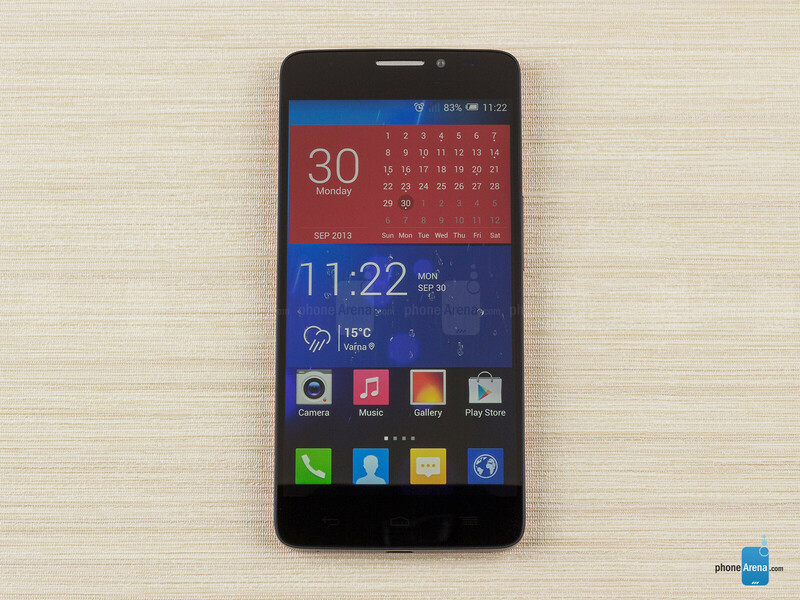 We mentioned thin and light, and that's the exact first impression you get with the Idol X in your hand. 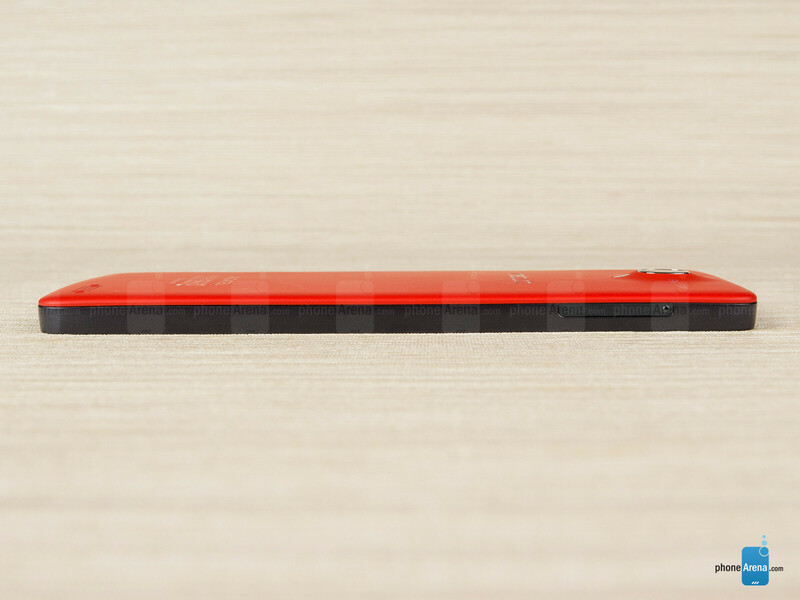 Its 0.27” (6.9mm) make it one of the slimmest smartphones around, and at 4.23 oz (120 g), it is also one of the lightest. If you think this feat has been achieved by an all-plastic build, Alcatel has a surprise in store for you – the back cover is indeed plastic, but the phone's frame is made of titanium alloy, allowing for structural rigidity yet an extremely light package. That metal alloy wraps the phone around the sides, interrupted only with slim cutouts for the ports and buttons. We liked how the titanium rim is also slightly elevated above the front, so the recessed screen part is protected when lying face-down on a flat surface. On the minus side, that means dust and pocket lint gets trapped towards the end really easily instead of being simply wiped out. The polycarbonate back comes in black, red or yellow, and doesn't feel too cheap, though a soft-touch plastic would have been a more premium match for the chassis. The phone is rather narrow for a 5-incher, at 2.66” (67.5mm), due to what Alcatel calls “0 bezel”, which is actually 2.4mm on the left and the right. That's one of the best achievements around, even thinner than the 2.65mm side bezel of the LG G2, explaining why the elongated design of the Idol X is so easy to operate with one hand compared to most other big-screen phones. To put things in perspective, the Idol X is taller, but thinner, lighter and more narrow than both the Galaxy S4 and LG G2. Granted, the top and bottom bezels are fairly wide, but it's the side ones and the overall width that matter in one-handed operation. Our only gripe with the design decisions around Alcatel's new flagship is the power/lock key placed at the top, making it a literal stretch to press on such a tall handset. Both the lock key up top, and the volume rocker on the right, however, are easy to feel and press, with decent tactile feedback. The sides also house two card slots - in our dual SIM version they are both for the carrier micro SIM cards, whereas with the single SIM one you get a SIM slot and a microSD one. Yep, since we have an unibody phone, that means you don't get storage expansion with the dual SIM variant of the Idol X, though it comes with 16 GB of internal memory – double the amount of the single SIM handset - to compensate somewhat. The protective flaps that cover those two card slots on both sides come with unorthodox design. They are completely flush with the metal rim around the phone, with only a small “pimple” protruding at their upper parts. When you drag it with your nail/fingertip, the flap opens up, so you can insert the SIM or memory card, then you can slap it back down, and a tiny magnet at the other end locks it in place, keeping it flush with the side surface and almost invisible. The problem part here is actually inserting the SIM card, as the instruction drawing on the flaps is hardly visible, and hard to read correctly. Even when you find the correct position for the card to go in, you need to push it really deep until it clicks into place – a task that is very hard with trimmed fingernails, for instance. There are three capacitive navigational keys beneath the display, which are not the most responsive we've tried, but do the job. They are, thankfully, backlit, and the white light sipping through matches the small LED notification dot next to the earpiece slit that lets you know the phone is charging, or informs you of missed events, like calls and messages. There is also a 2 MP front camera up there, as well as an ambient light sensor which works like a charm, dimming the display gradually when the light goes down, or blasting it up outdoors. The 5” 1080x1920 pixels panel is of the laminated IPS-LCD variety, meaning a tight, bright, low-reflection package, integrating the touch layer into the display itself. Its protection is guaranteed by the durable Asahi Dragontrail glass, which is similar to Corning's Gorilla Glass franchise, and the brand that Alcatel works with on all of its recent phones. With 441ppi pixel density, the screen is a piece of beauty, showing no icon or text jaggies, even if you explore it up close and personal. Its color saturation seems a bit subdued and the the tones themselves a bit on the warm side, but nothing out of the range for one very good smartphone display. The screen is very bright and with good reflection coating, meaning you won't have troubles viewing it outside, even under direct sunlight. Brightness and color shift slightly at extreme viewing angles, but, again, nothing out of the norms for a good IPS-LCD screen, so overall the Idol X is graced with one excellent 5” Full HD panel. Weak processor? Seems like you sir are just spoiled by those ultra blazingly fast SoCs. It is weak by late 2013 standards. Performance is always relative to competition. It is weak by 2013 standarts, however still very fast. 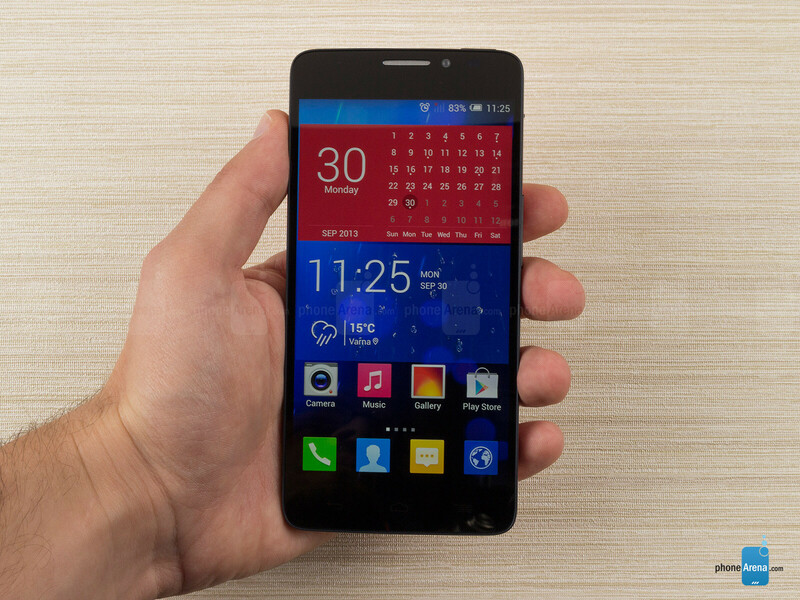 This phone has 4 A7 cores which means that it will be very power efficient while still have power. I have a SGS1 with A8 core at 1 GHz and running almost every app I have very smoothly, and A7 core has 10% worse instruction per cycle/ per core on the same clock than A8 so if the A7 is clocked at 1.5 GHz it will have 6 times better performance than my SGS1, while taking only a little more energy, so if my SGS1 runs just fine (with a little help from XDA) on 1GHz A8, I am sure that this phone will also run just fine. Almost every phone today has a great performance, A7 can do 1900 MIPS at 1GHz and Xbox 360 processor can do 2000 MIPS at 1 GHz and A15 can do 3500 MIPS on 1 GHz, so todays CPUs in phones should be more than sufficient for everything you throw at it. If an app is lagging, the cause of the lag is in most cases lack of optimization, not lack of power. Also this phone is an awesome deal. 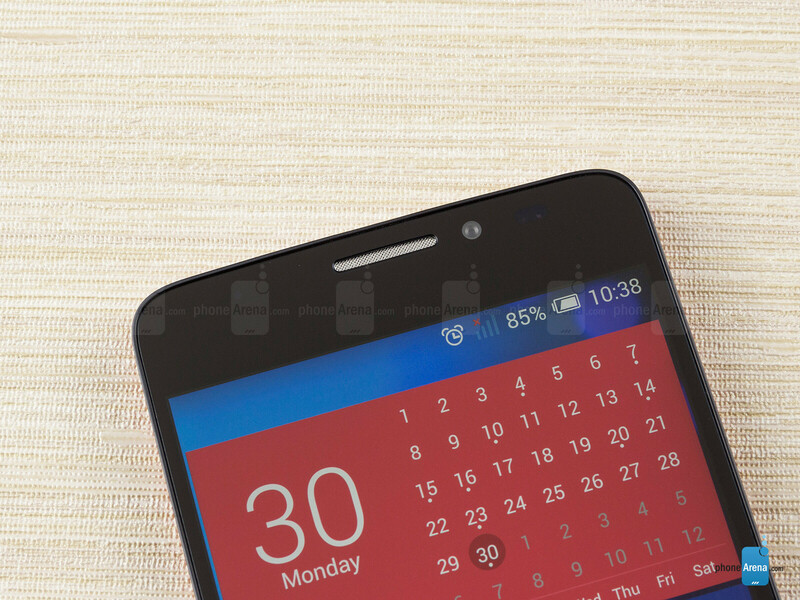 The best phone for that price, maybe except nexus 4 in google play countries :). Yes but in the 2014 world, when you at the processor capacity of the single digit cellular device, you can obviously tell that the nanofabrication methods are vastly superior to 2013 methods. In this case, the Iphone 5s, with its security system and the leftist political climate of this era, would prove the ultimate thesis of reality, thus demonstrating the candid desire of those to show their pluralistic views on operating systems. Therefore, this Alcatel phone, built on the superiority of the 7th amendment, shows the 14th political change. You bum. Exactly. Now even most midrange phones can run every app smooth. It's all about how well the apps are optimized. My zte avid scores over 15300 on antutu. But this phone did the same score with a full hd screen. Pretty good in my book. Don't know how games run but this is enough performance for the average consumer. Even for those nagging teen girls who blae everything on the phone and not the apps. I'm torn here.. I'm loving what they are doing at the price point with the hardware but the front design is way to similar to every other phone out there. To me this looks like they ripped every nexus since the nexus one. The back looks okay though. 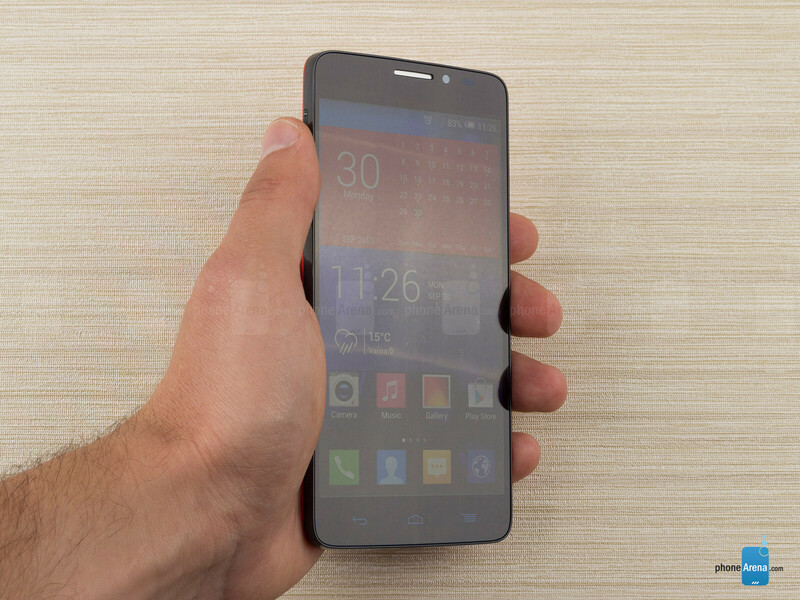 I am glad you guys did a review on the Alcatel One Touch Idol X PhoneArena! But no video review?? I cant get to menu, i swiped up from bottom but it doesnt work. Does anyone have slow charching problem with this phone? 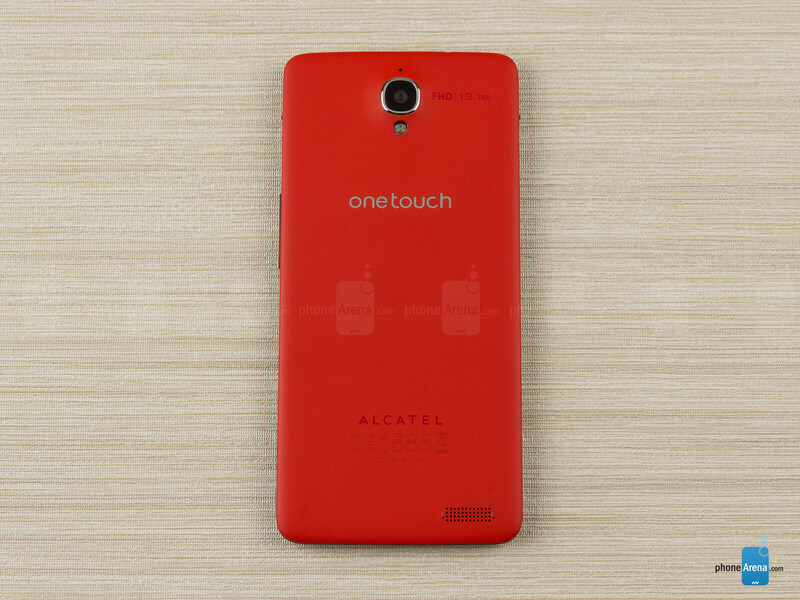 Alcatel may have its pros and cons. Mostly the people are not satisfied with its battery but I got another brand with me by the name of iDROID USA. I am using iDROID Royal V5 with a 5" OGS IPS display and a 13 MP rear camera, it is a powerhouse in the palm of your hands. Battery timing is super!